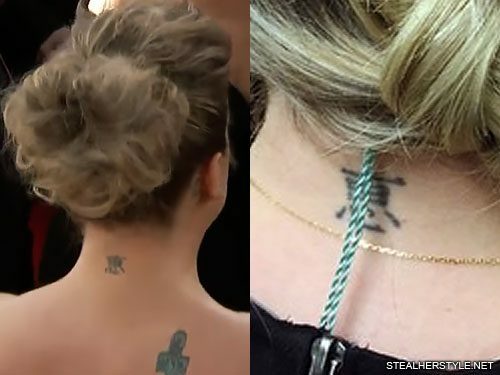 Kelly Clarkson has the Japanese kanji symbol for “Blessed” tattooed on the back of her neck. 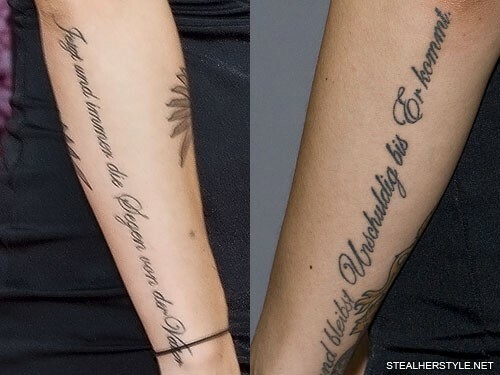 Lights has a tattoo across both of her forearms of lyrics translated into German. 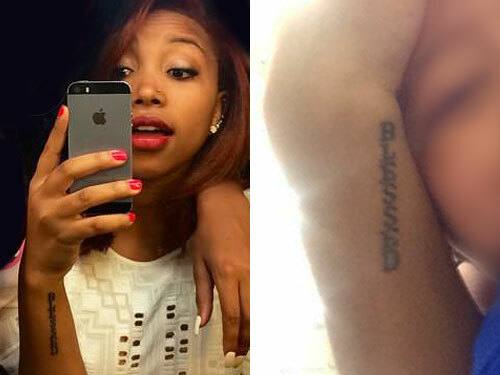 It reads “Jetzt und immer die Segen von der Vater und bleibst Unschuldig bis Er kommt” which translates roughly to “Now and always have the blessing of the father and remain blameless until the end,” though it’s not quite grammatically correct. 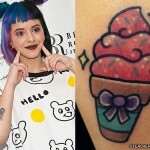 Lights has said she likes tattoo because the German word for “father” which is “Vater” makes her think of Darth Vader from Star Wars. 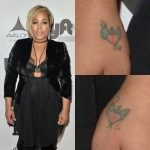 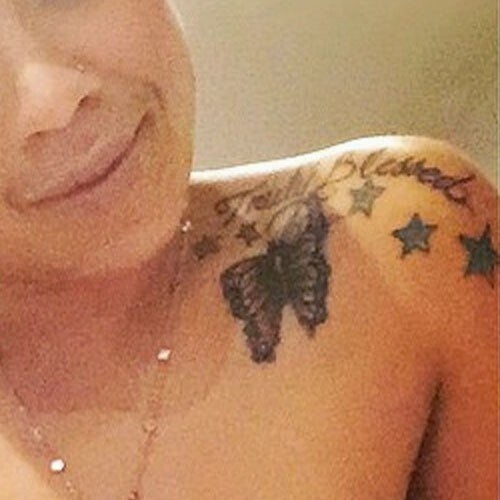 Keyshia Cole has a tattoo on her left shoulder that says “Truly Blessed” surrounded by blue stars and a butterfly. 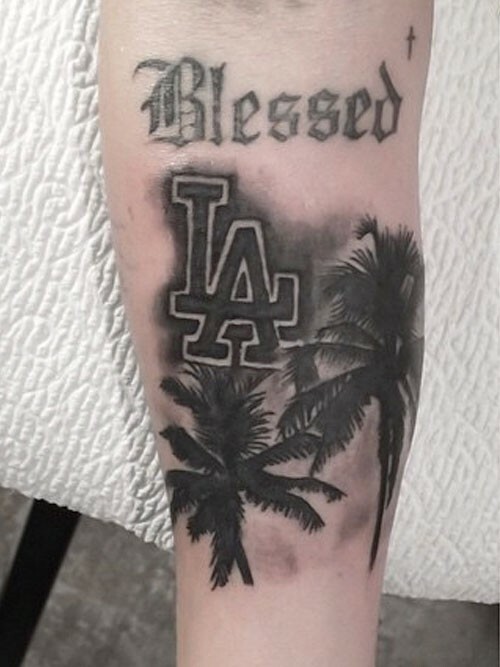 Chanel West Coast celebrated her California home with this palm tree tattoo from artist Sean Foy, which she got in May 2015. 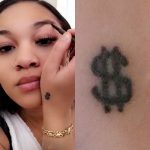 She has the letters “LA” for Los Angeles in the style of the Dodgers logo. 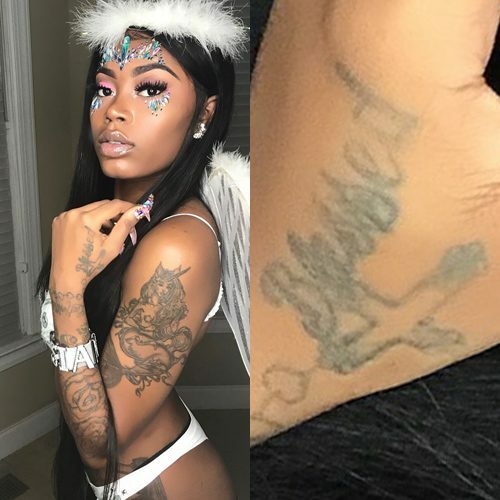 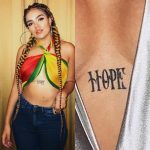 The tattoo on Zonnique Pullins’ right forearm says “BLESSED” with the letters stacked vertically. 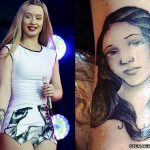 It was done by artist Roger Parrilla in August 2014.